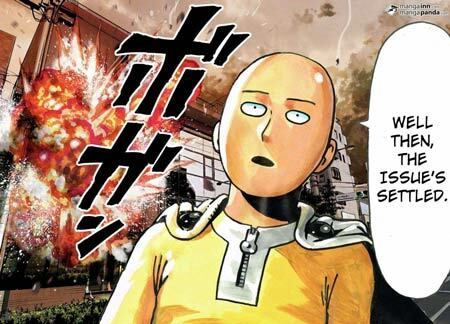 Deconstructing Comics #502: "One Punch Man"
One Punch Man was originally a crudely-drawn Web comic by a guy calling himself "One". But then the story, with art by slick manga artist Yusuke Murata, was picked up for publisher Shueisha's Young Jump Web Comics website in 2012. It subsequently became an anime, and the manga is available in English from Viz. This week, Tim and Kumar take a look, to discuss whether the story is really served by Murata's typical manga art, and the good and bad points of the comic as it exists.